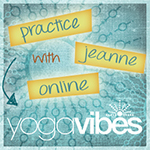 Come join Jeanne for a perfect wind down of the week and the preparation for your weekend. In this two-hour Master Class your bodywill Flow to a cool, groovy play-list unlocking the hips, elongating the torso, freeing the shoulders and opening the heart. After a juicy Savasana, we will do a little bit of deeper breathing/Pranayama into a sweet Meditation that opens your heart even further. You don’t have todo anything; we will UN-do everything! All levels are welcome. Terminate Tense Shoulders; Removing the Misperceptions that Cloud Our View (3 hours) In this Master Class Jeanne will address the tension and limitations thatdwells in the shoulder region. 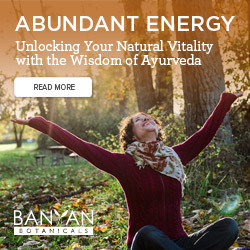 When we have limitations in this area, it leads to neck pain, upper back problems and even breathing problems.We will open and then strengthen this very important joint, learning about the body parts so that you can care for yourself after the workshop. Using this new range of movement, we will explore the adventurous Inversion Poses of yoga. We will move gradually, safely and adapt poses to the needs of attending students. Teachers will be guided to more challenging versions and newer students will have theirhands held as they begin the important first steps. Our limitations begin in the mind and ripple into the body. By moving upside down in poses, it begins to shatter the limitations and we begin to become lighter, seeing new possibilities and joy.This workshop is safe for those who have had some yoga practice and are able to hold Downward Facing Dog and Plank Pose for 30 seconds. Ladies on their cycle are welcome, you will practice modifications with us.